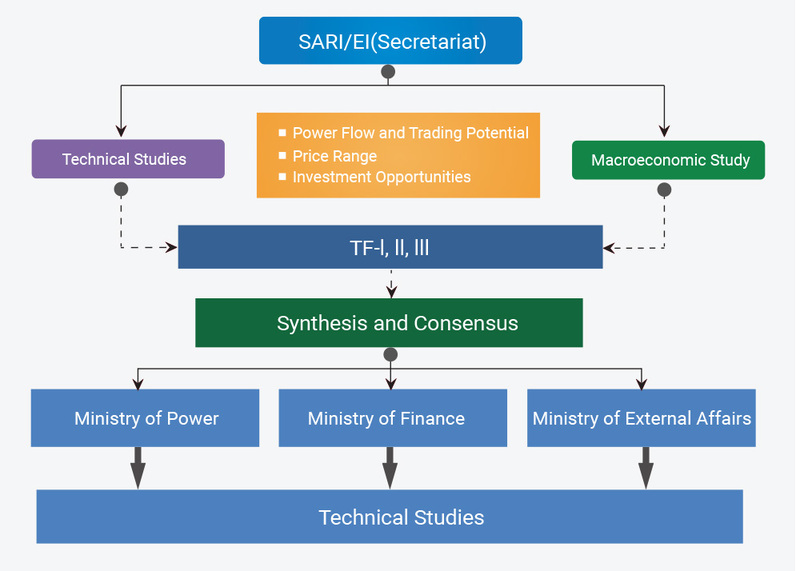 Under the SARI/EI program, IRADe commenced the Macroeconomic analytical study with the primary purpose to build consensus for cross border electricity trade. It involves multi country analysis which is bringing out the economic (macro and micro) importance of power trade besides other country benefits. In-addition, the study is carrying out a set of activities to build consensus through various channels and create political climate for co-operation. The Consensus building activities are converging stakeholders from power sector, financial and diplomatic communities and other energy experts. Objective of the study: To critically assess the need for CBET among the nations of the South Asia region through comprehensive analytical studies that quantify the technical, economic, environmental and energy market benefits of cross border interconnection in the region. Key goal of the study: To provide estimates of benefits holistically and the need for supporting regulatory and market developments that may aid in creating the political consensus for regional electricity trade. The outcome of the studies aim for rigorous estimates of benefits to inform the discussion by all three Task Forces of the SARI/EI and pave the path to prepare and develop regional energy markets and make them sustainable in order to foster economic growth of this region.